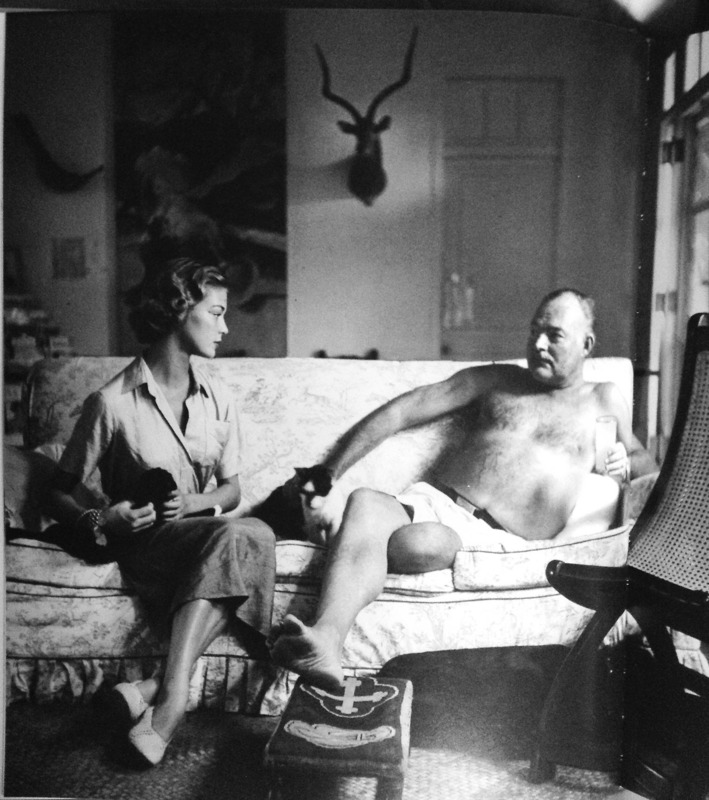 Ernest Hemingway and model Jean Patchett, sitting on a sofa in Hemingway’s farmhouse in Cuba. Photo taken by Clifford Coffin, Nov. 15, 1950, for Vogue Magazine. I’m done buying physical books – except when I go to The Strand in the East Village, where I seem to never leave without buying something. Vogue: The Editor’s Eye is my latest purchase. I have enough photo books but I liked that this one is purportedly about the influence of the fashion editors on the magazine’s photography. As a photographer, I’ve come to realize that editing is as important as the actual on-camera skills. Maybe even moreso in this day of near infinite film rolls. For every hour I spend taking pictures, I probably spend five to ten hours picking out photos, organizing, and then publishing them. Even on my Flickr account, where I dump photos for archival purposes, I probably upload fewer than 1 out of 50 photos that I actually take. Anyway, The Editor’s Eye is still worth it for the photography alone. The book covers eight fashion editors and devotes a few pages of text to their biographies. But the process of editing – it being more a confluence of personality, experience, and temperment as much as it is skill – is hard to capture in words and the book doesn’t shed any particular light on the work. It’s not a surprise, then, that fashion editors were uncredited until Anna Wintour took over in 1988. The above 1950 photo by Clifford Coffin of Ernest Hemingway and Jean Patchett is one of my favorites in the book. The fashion editor then, Babs Simpson, said she was sent to Havana to “catch” Hemingway, without even a single phone number to reach him at. She went to the Ambos Mundos, one of his favorite drinking spots, and got his phone number from the manager. We wanted to start early in the morning before it got hot. When we got there at eight o’clock, as agreed, nobody was in sight. Two champagne glasses were bubbling away, though, and finally Hemingway appeared, with a very young and good looking Basque priest. Hemingway took a great shine to Jean, of course, and I got on very well with the Basque priest…but it got worse and worse as the day went on, because Hemingway and the priest got drunker and drunker…Isn’t [Hemingway] revolting? They wanted us to go and see the pelota or something or other with them afterward. They wanted to spend their lives with us. So we got the first plane we could out of there. You can order Vogue: The Editor’s Eye from Strand’s Website. Apparently HBO did a documentary with the same title a few months ago. This entry was posted in thoughts and tagged books, Ernest Hemingway, fashion, Vogue on March 17, 2013 by Dan.